My local basketball team is called West-Brabant Giants. I used to play basketball myself when I was young, so I know a bit about the game, and how players can get entangled when reaching for the ball. 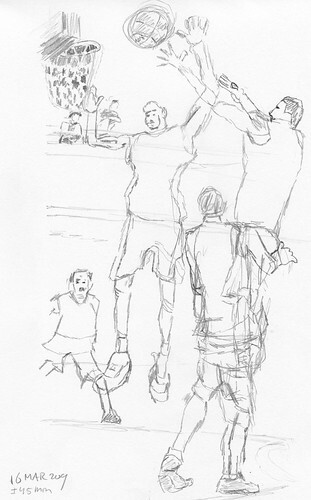 This is just an exploratory sketch, to see what the problems are with drawing this scene, and how best to approach it. The sketch took about 45 minutes. The photo was very tiny, only 304 by 468 pixels. I will continue this drawing exercise tomorrow. 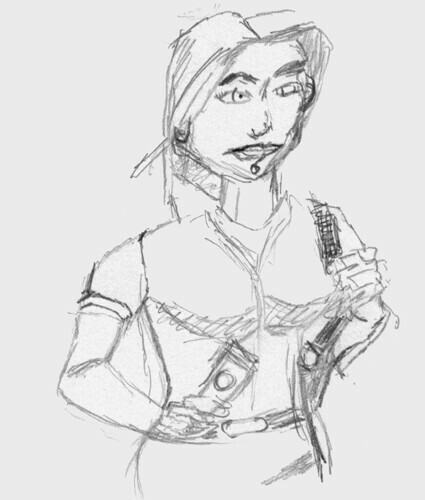 This quick 30 minutes sketch seems easy enough, but I needed two other versions to get it right, sort of. The idea was to draw a light sketch, pure by observation, not thinking too much about it. Look, hold, draw. I believe that part succeeded. 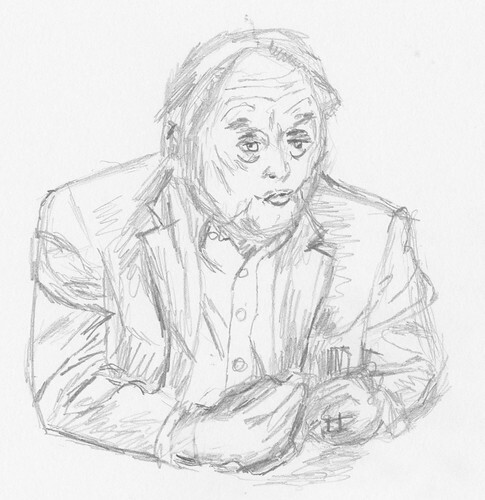 It is a very bad rendering, which means I have still a lot to learn about drawing comics. 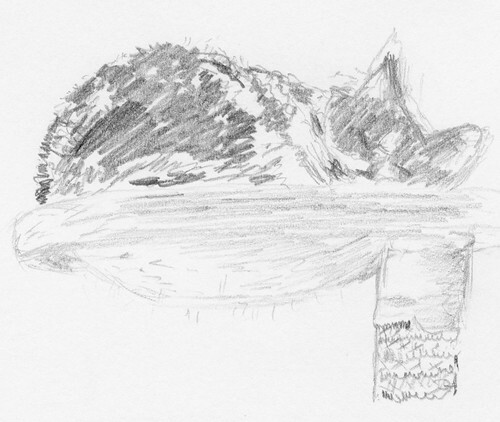 My Bengal cat Rasheed was grooming himself, so I decided to drawing him in approximately 15 minutes. 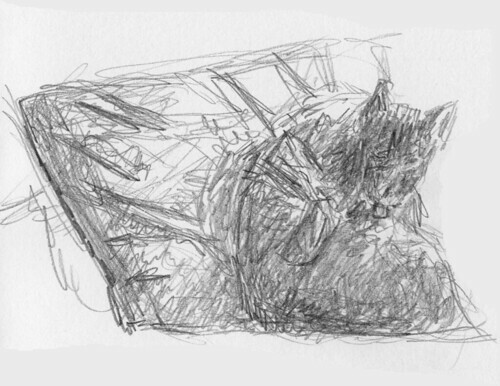 Another quick sketch of one of my cats sleeping.